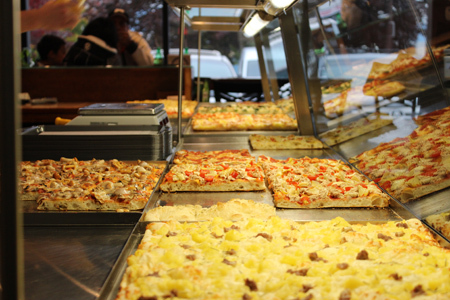 When you enter into Ciao Roma, there is a display full of a variety of party size pizzas that you may choose from. We cut all the pizzas in half and then cut strips up to the half way cut. You tell us how big or small of a strip you would like; we then cut it and weigh it to determine the price. When calling in an order, you have the option to order full pizzas, half pizzas, or even get quarters; the choice is yours. 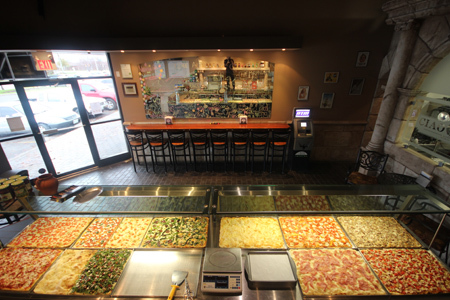 All full pizzas and half pizzas have set prices on the menu. Anything less than half of a pizza will be weighed to determine the price. 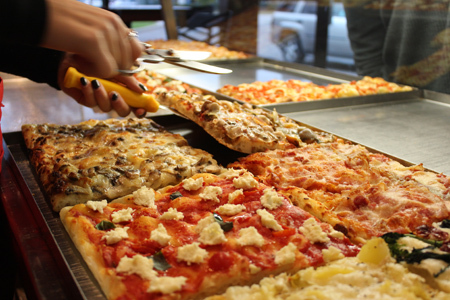 In Rome, Pizza 'Al Taglio' (by the cut) is a very popular style of pizzeria where the pizza is sold by weight. 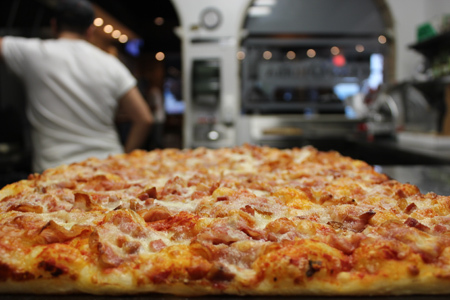 Our full party size pizzas are slightly larger then your standard party size pizza and are cut into 24 squares. The great thing about selling it by weight is that you can create assorted boxes from the available variety.